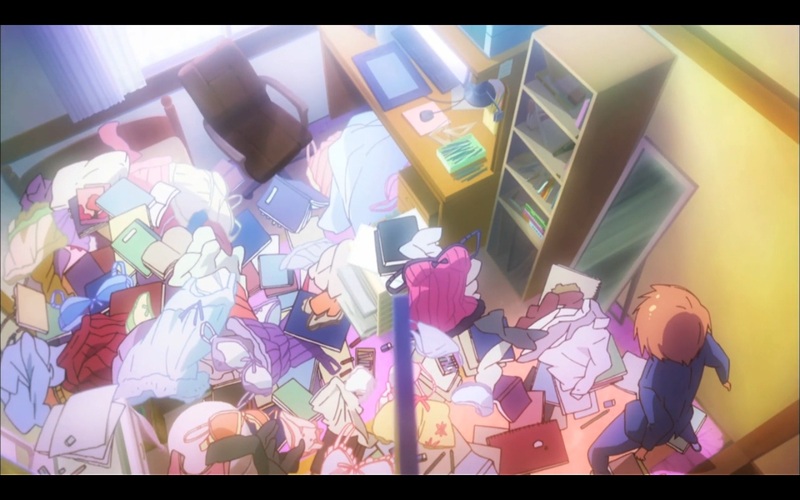 Kanda Sorata lives his high school life in Sakura Hall dorm, in consequence bringing a cat in his normal dorm. He was soon realizing that Sakura Hall was full of unique character, or, a den of freaks. One day, he was told to look out one of the cousin teacher that will move to Sakura Hall. 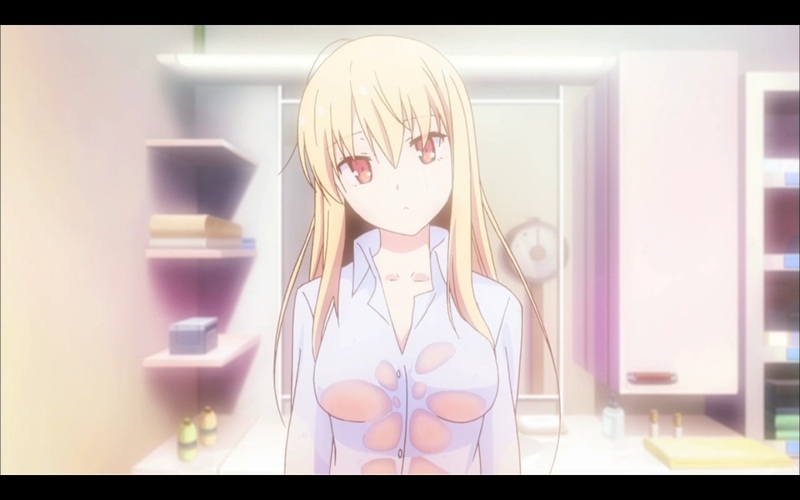 With the introduction of new character, Shiina Mashiro, Sorata wrapped himself in taking care of her every need. 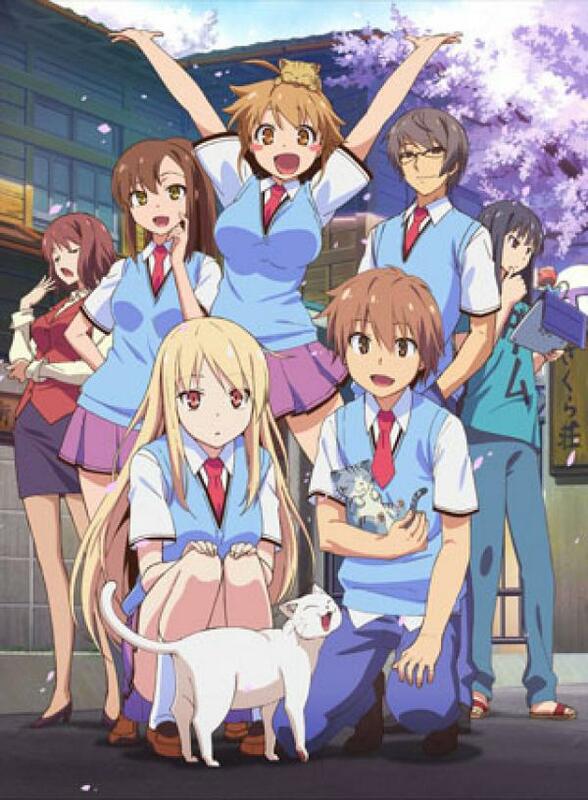 Sakurasou No Pet Na Kanojo tells the life of a normal high school boy overcoming the environment beyond normal. His dorm, the Sakura Hall, was far from any normal definition in any terms. You will notice many different characters have different role and personality. To remain in the world sanity, fortunately, the classroom was pretty normal. 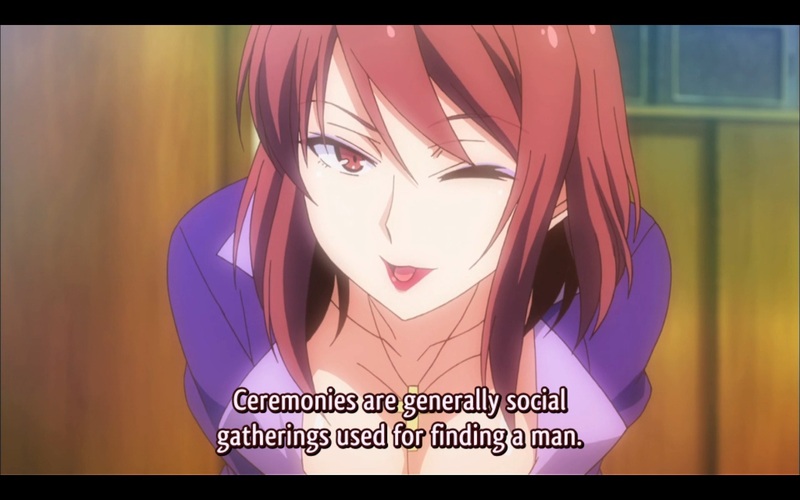 Kanda Sorata is your everyday Shonen character with comedic personality. He was kind, compassionate, reactionist, and your typical commentator. With “The Fool” personality, he was the type to be loved by many. He also seems to have good relationship with his neighborhood. But he was especially weak with cats, in a way to always bring home any stray cats. After tasting the harsh life of Sakura Hall, he was determining to make one goal; to escape from Sakura Hall. The heroine, Shiina Mashiro, have the Introvert aura around her. She was quite, expressionless, emotionless, a perfect Dandere character. Transferring from England, she seems to have not understood Japanese culture yet. As a heroine with quiet and calm personality, she was a perfect match with Sorata reaction and awkwardness. It was an interesting Anime, with unexpected pace of story. As expected from a comedy genre, the punchline given is also properly placed. But what helps the punchline is the BGM, with the “Clown” aura emanating the surrounding environment. 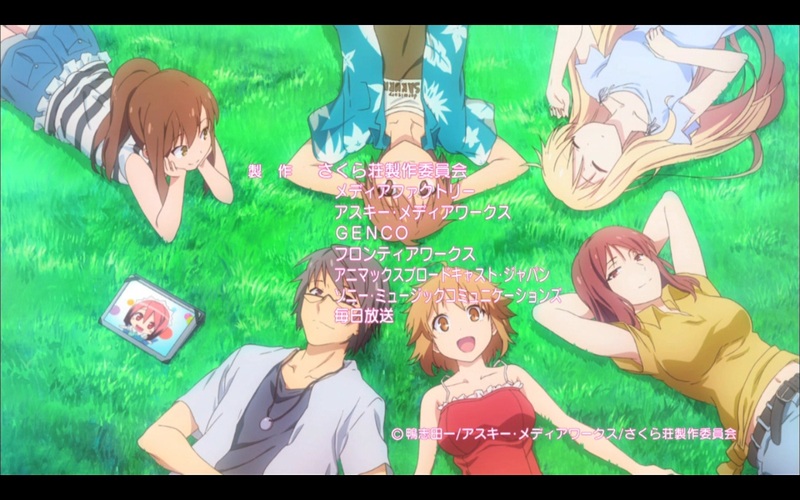 Although the Ending have a dull animation, the song was appropriate with the whole Anime genre. Considering that many titles have already taken the high school comedy genre, I’m sure many of you will think twice to watch this. 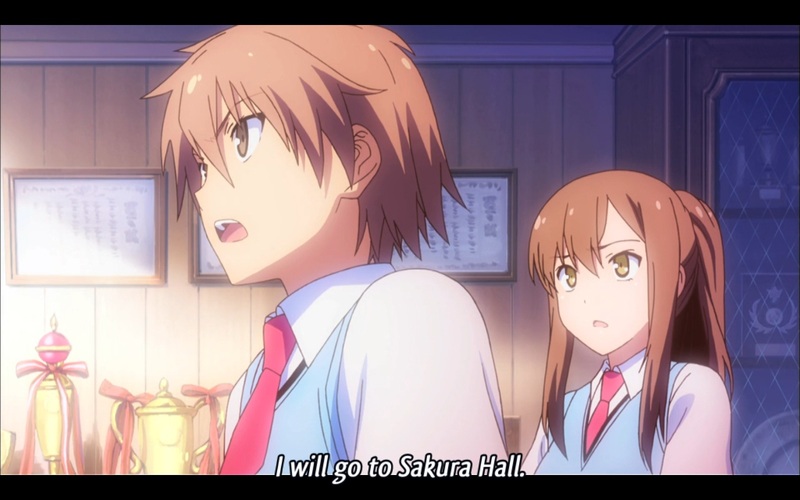 But I assure you, Sakurasou have a different kind of Shonen high school comedy. 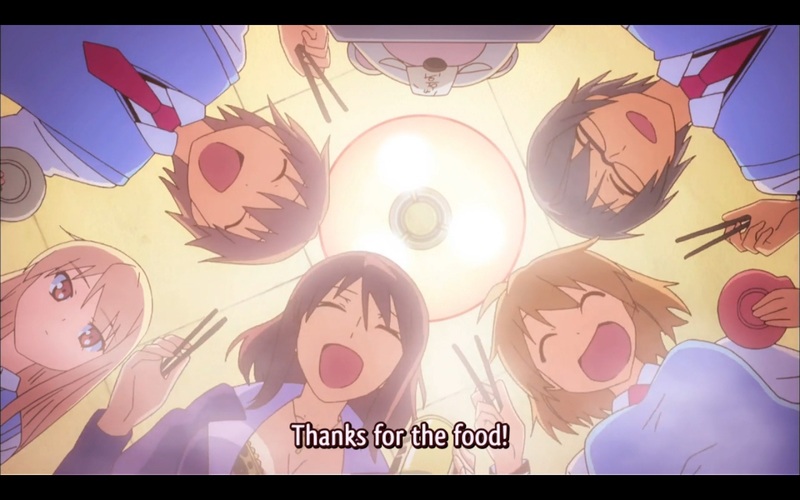 Sakurasou have the resemblance with the Anime Baka to Testo Shoukanju, in terms of comedy high school with special effect and many unique characters. But, Sakurasou are far more acceptable without a hint of impossible, creating the illusion of “Real”. Not to mention a little fan-service have slipped inside the story. With up and down pace of story, I guarantee you will not bored watching this.